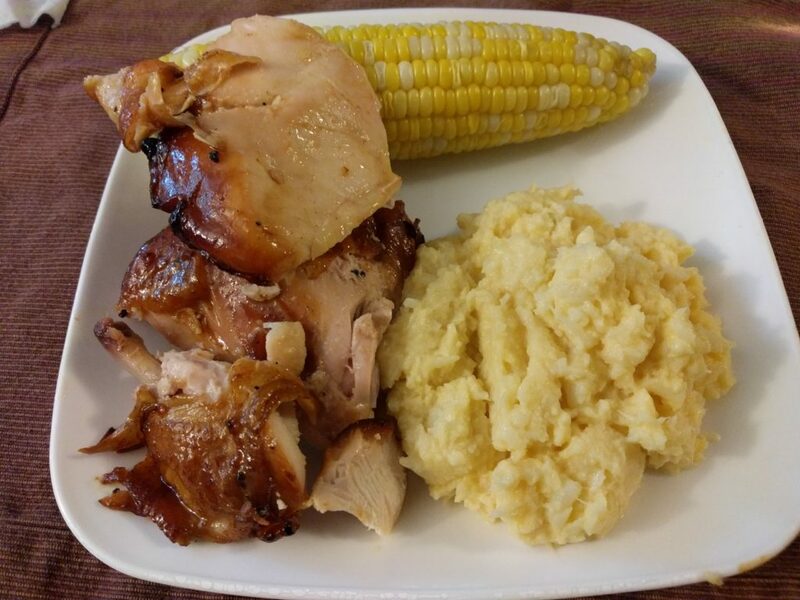 A week or so after the smoked chicken, Danielle did her marinade on a whole chicken we’d cleaved in half. 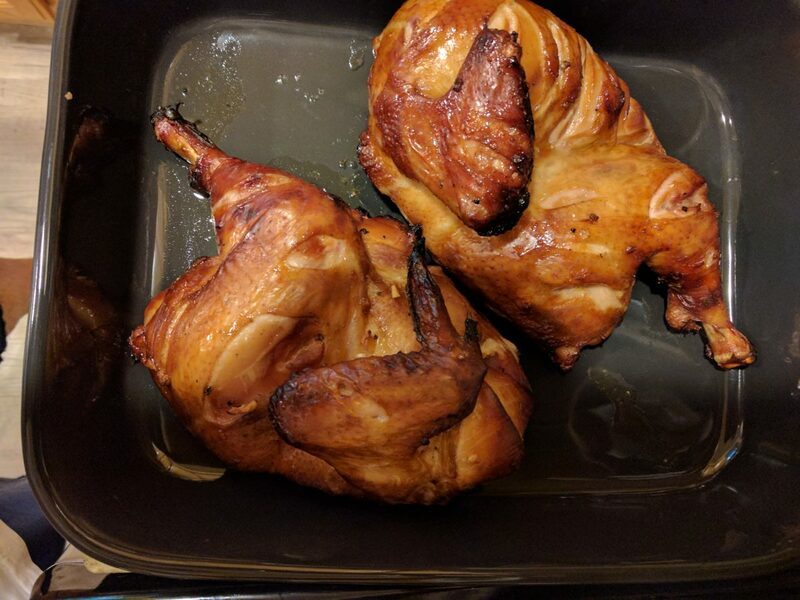 I cooked it on the Weber Kettle at an average of 350 F and it came out GREAT! I did a 2 zone setup with the dark meat facing towards the fire. I took it out when the breasts were 160 (which was approximately 180 for the dark meat – which is the temp most people like dark meat). Look at how juicy that came out!